With this brilliant combination of Strong & Stunning, you can't go wrong. 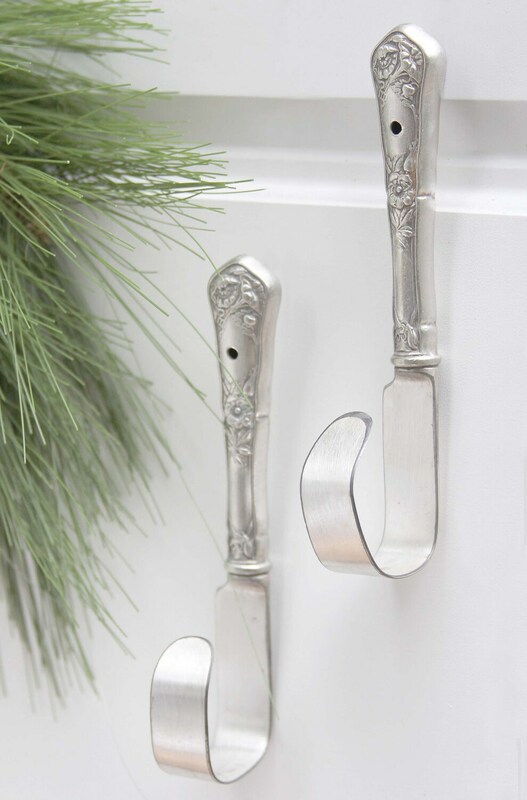 These elegant hooks are perfect for all your holiday & household needs. 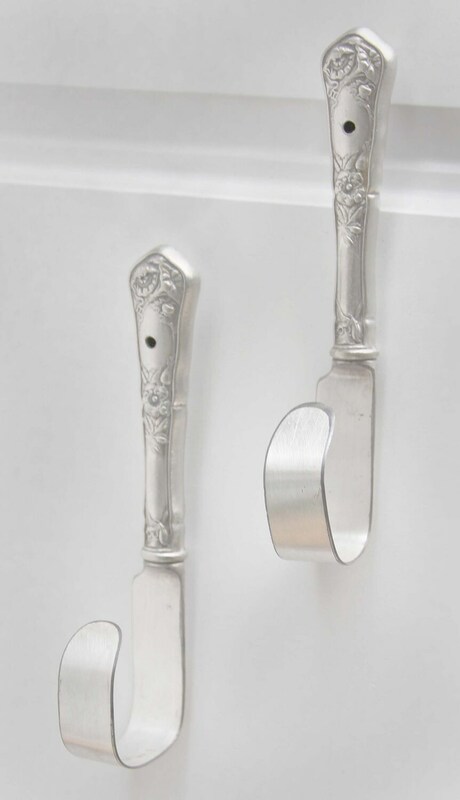 Durable enough for everyday abuse yet stylish & stunning for perfect accent decor. 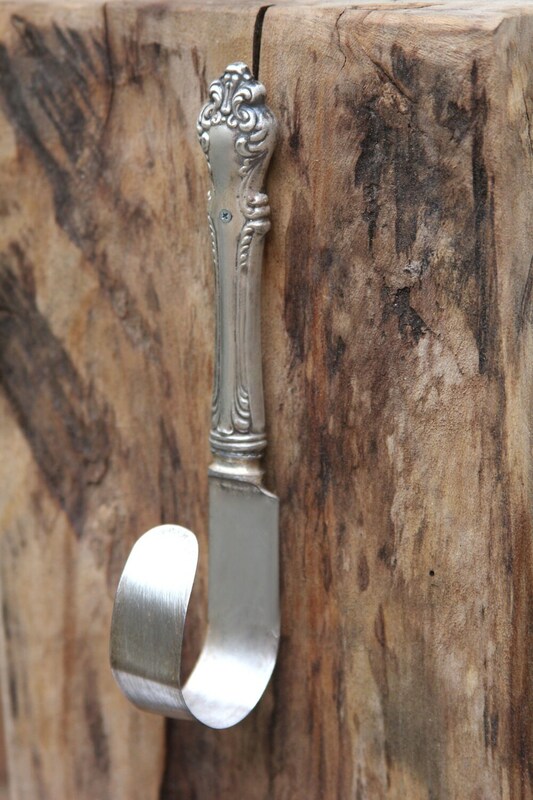 Upcycled from antique silver plated butter knives dating back as far as the late 1800's. 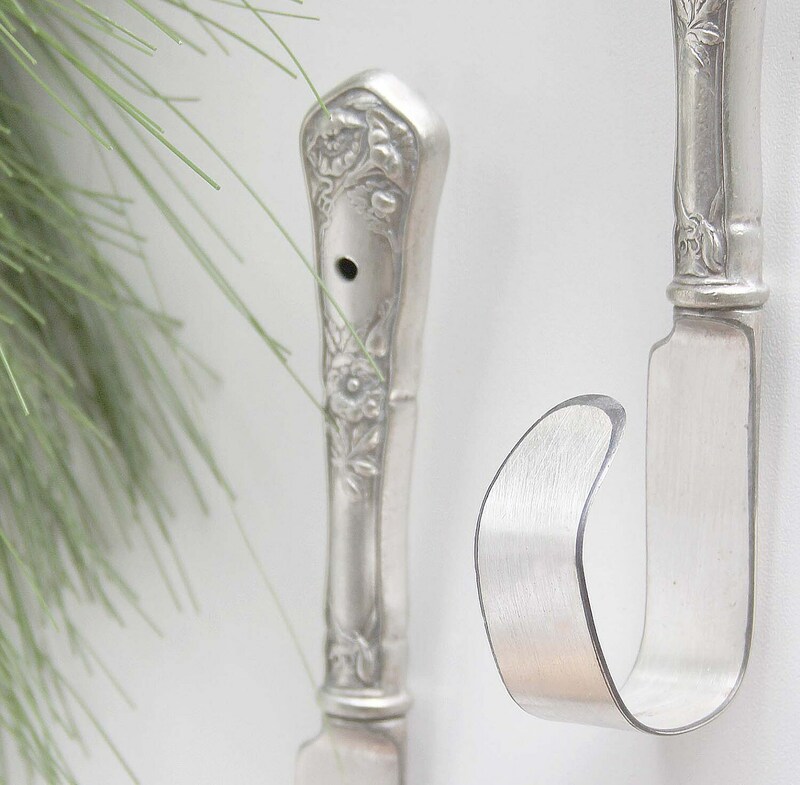 Each hook has been dulled on the edge, hand formed,drilled & polished to perfection. Measures aprox 6.5 x 2, Since each hook is unique no two ever are exactlly alike, however each is just as elegant and stunning as those pictured above. Hardware for hanging is included. 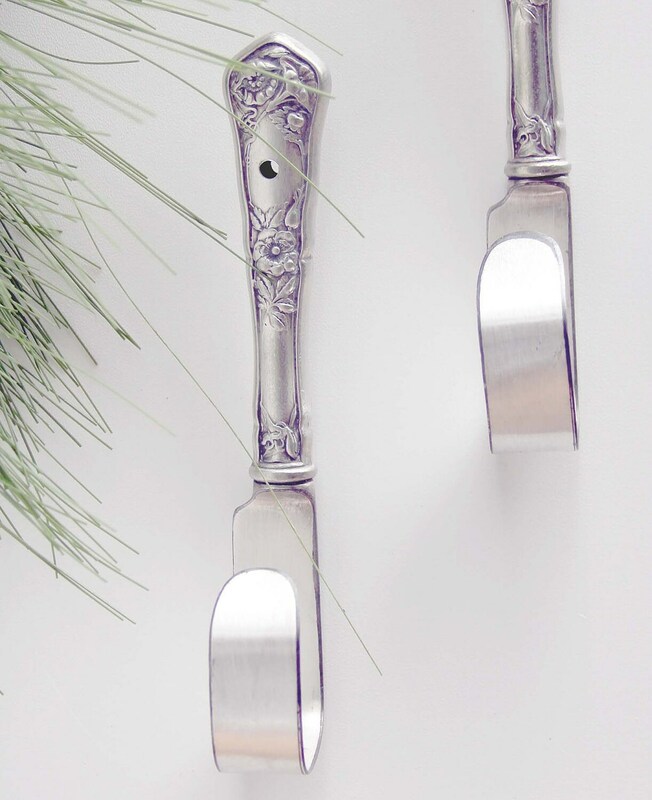 You may choose a matched set or mixed yet similar designs.